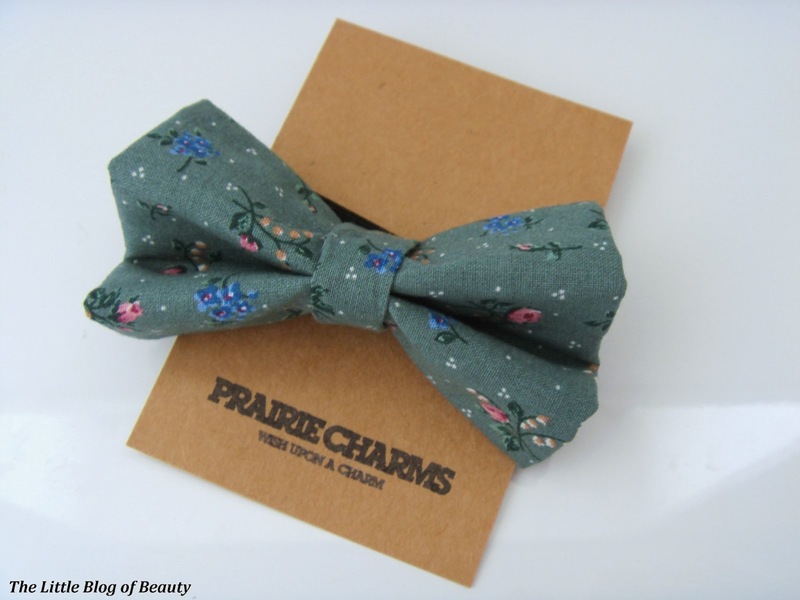 A brand that I have recently discovered through Twitter is Prairie Charms; a handmade accessories boutique specialising in girly, flirty and quirky jewellery and accessories. 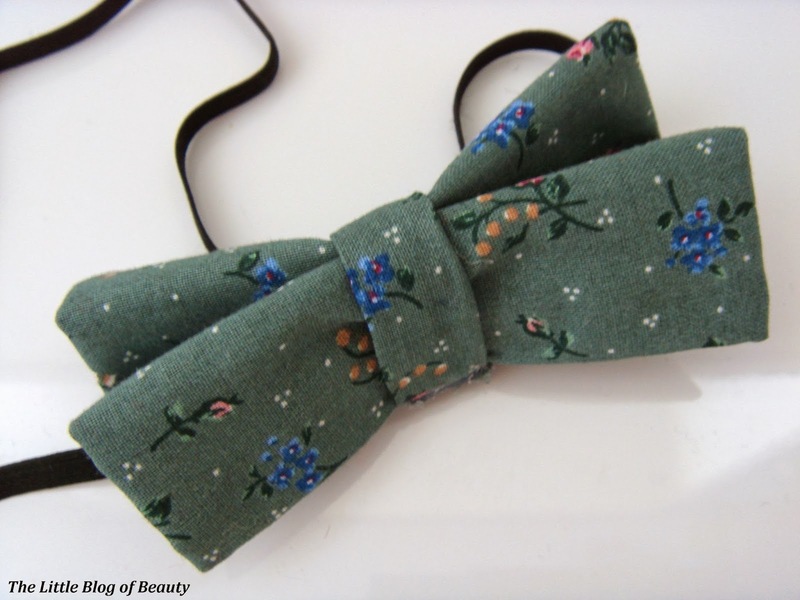 New products are often added to the site but the items currently available include fabric and flower headbands, floral crowns, and fabric and glitter bows. As well as making fab quirky accessories Prairie Charms also donate 10% off all profits to the Great Ormond Street Children's Hopsital Charity and the Kiss it better campaign. After having a browse round the website I decided I'd like to see what I could do with the Gia bow. The Gia bow usually comes with a crocodile clip on the back but as Prairie Charms' products are hand made they do offer the option of custom orders where you can request for something to be removed, added or substituted. As I thought I might be a little bit restricted with a crocodile clip I asked for it to be replaced with elastic. As you can see from the first picture I did actually order two items but I'll do a separate post for the other one. Both items came in really pretty packaging and were individually wrapped in tissue paper like little presents. 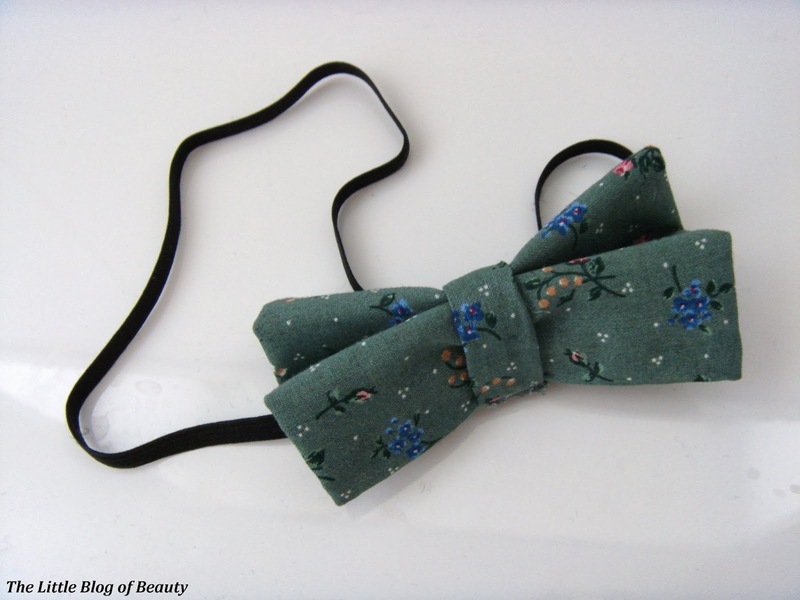 The Gia bow features forest green or khaki coloured cotton fabric with a ditsy floral print. It arrives flat, folded like a concertina of fabric and you just need to fan out the ends to make the bow shape. I would have preferred the centre of the bow to be a little flatter as the bow stands up quite tall but this isn't really a problem. So what did I come up with for the Gia bow? I went for two looks using the bow in my hair. If the bow had a crocodile clip on the back this could obviously be used as a hair clip but I used the elastic as a headband instead. When it came to the bun I had a bit of a problem! I went to the hairdressers last week asking for my hair to be cut to shoulder length. My hair is usually shoulder length but I've had it up all summer because it's been so hot and didn't realise how long it had got. So my hairdresser started cutting and then commented that she didn't think she'd cut enough and needed to take a bit more off. For some reason she then went a bit snip crazy and I've ended up with more of a long bob! As you can see from the hair falling out of the bottom of the bun it's not really long enough but I did just manage to get my hair to cover the bun ring. 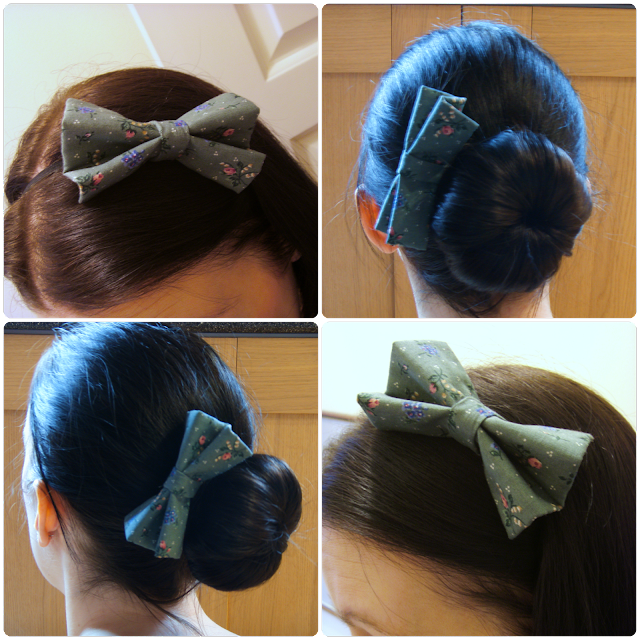 I then just wrapped the elastic round the bun twice to add the bow. Again if this did have the crocodile clip it could just be clipped into the hair. Then I went for some slightly more unusual looks using the bow. 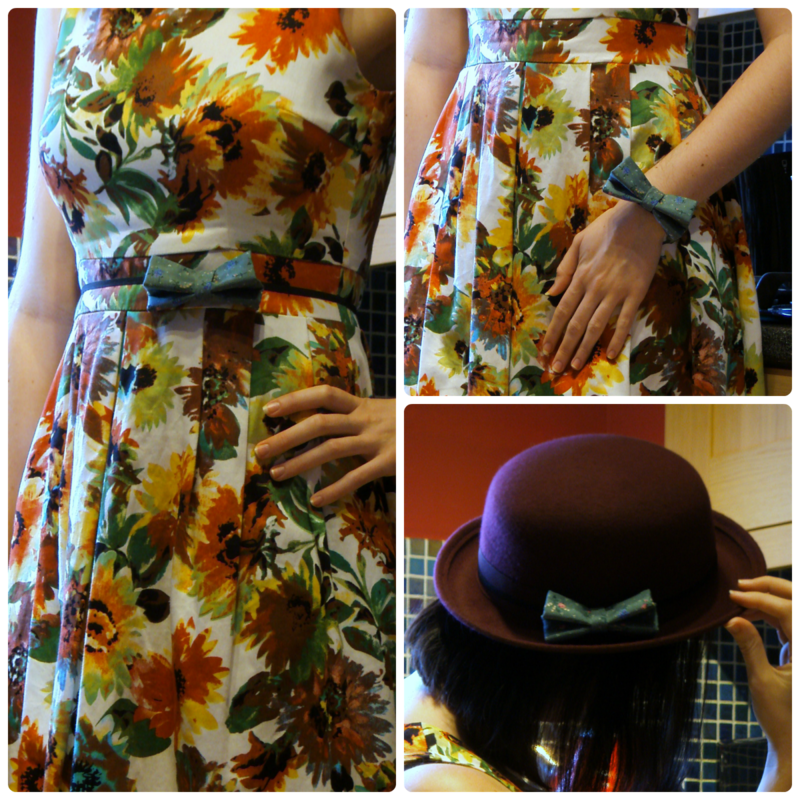 I thought the colour of the bow might go with a dress I bought to wear to a couple of weddings this year so to begin with I used the elastic as a slip on belt to make a bow on the waist of the dress. I'm not sure now that the bow does really match the dress but I like the idea of using it as a waist belt. I then wrapped the elastic round my wrist to make a kind of oversized bow bracelet (sorry about my freakishly long fingers, at least I remembered not to bend my double-jointed thumb backwards!). 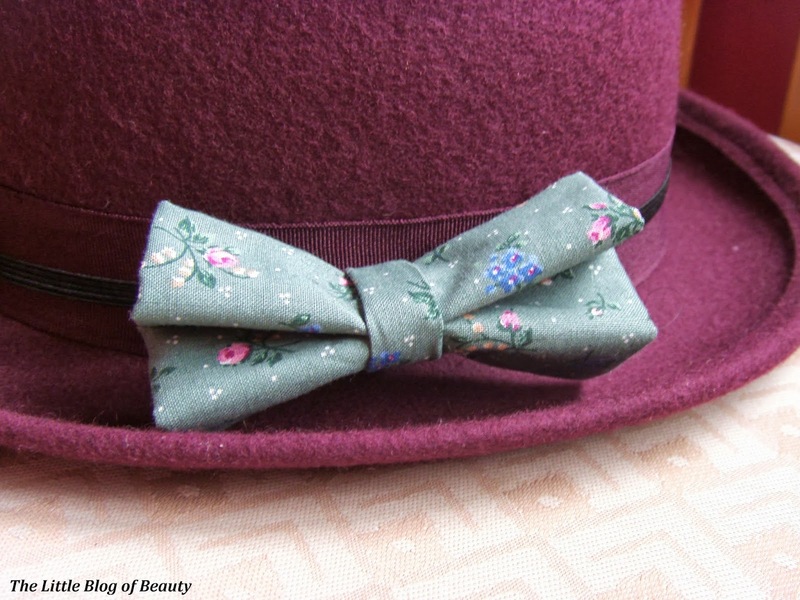 Finally I used the elastic to pop the bow on my bowler hat. This would probably look better on a black hat but they were sold out so I had to go for a burgundy one. What do you think of what I did with the Gia bow? 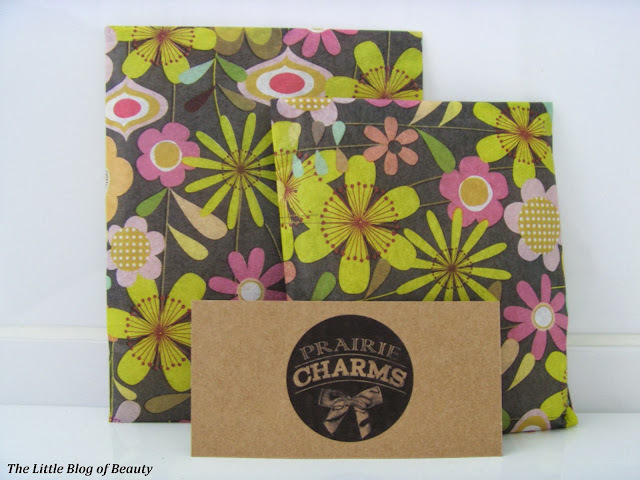 You can find the Prairie Charms website here. Love the idea of clothes decorations more than wearing it in your hair I think! Although they would look lovely with a ponytail. You know, I'm not usually one for little bows, but I really like how this one looks. I also think it looks adorable on the burgundy trilby! Nice idea of incorporating the bow into your outfit! I love the look of this bow!? Considering purchasing one myself now.